Representative Frederica Wilson (D-FL) claimed President Trump was not sympathetic during a phone conversation with the wife of a soldier recently killed in Africa. Wilson said she overheard a conversation between President Trump and Myeshia Johnson the widow of Sgt. La David T. Johnson who was killed in Niger. Wilson told the Herald on Tuesday that she heard a call on speakerphone from Trump to the widow of Sgt. La David T. Johnson, the soldier and father who was killed in Niger whose body was returned home that afternoon. Myeshia Johnson, who is pregnant and mother to Johnson’s two children, took Trump’s call at 4:45 p.m., just before Johnson’s body arrived at Miami International Airport. 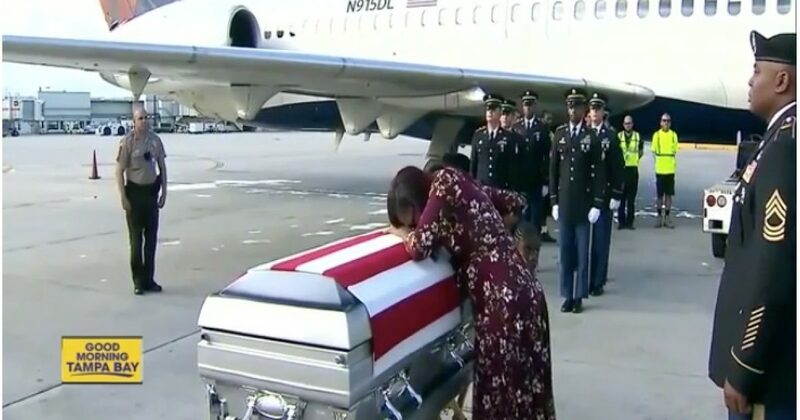 As she was in a car heading to the airport with her family with Wilson, Trump told Johnson’s widow that “he knew what he signed up for … but when it happens it hurts anyway,” Wilson said. It’s highly doubtful President Trump would take the time to call and not be extremely compassionate. Even in the remote chance the president made a reference to the known risks of being a soldier, it’s highly inappropriate and indeed twisted to politicize a tragic death while the family is in mourning.